We have been helping Lincoln University with their study into the breeding areas used by this rar e Dragonfly which is only found in a few locations around the Rockland area. 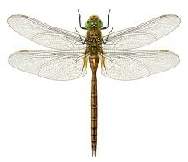 They have visited taken water and content samples from a known location where the Hawker has been seen. The first samples taken contained Hawker larvae showing that they are conclusively breeding at that location.